In October 1964, then-UC Berkeley student Mario Savio stood atop a police car in dark socks, speaking to a crowd of thousands. Savio enacted this civil disobedience — one of the defining moments of the campus Free Speech Movement — to protest the arrest of then-campus graduate student Jack Weinberg, who had been cited for tabling for the social justice group Congress of Racial Equality, which was against the UC’s policies at the time. According to current campus doctoral candidate Anthony Gregory, many Americans admire the Free Speech Movement for the way its participants defended the freedom of speech for all — including people with whom they disagreed. While UC Berkeley was once praised as the Free Speech Movement’s birthplace, Matt Ronnau, president of the Berkeley College Republicans, or BCR, disclosed his fear of repercussions from professors and classmates over his political beliefs. Ronnau noted that these worries were amplified Feb. 1, 2017, when protesters set fires on campus and caused enough violence to prompt the cancellation of an event for controversial conservative writer and speaker Milo Yiannopoulos. 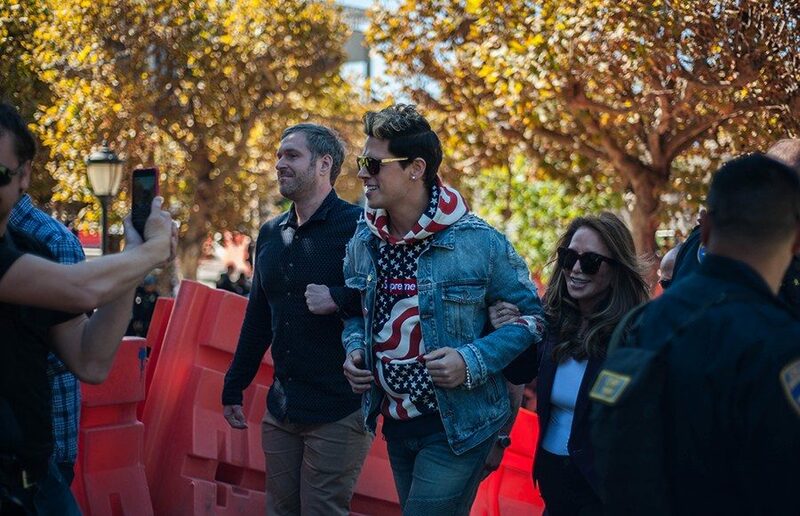 Ronnau recalled the high security that was then enacted for Yiannopoulos’ second appearance in September 2017 for the ultimately cancelled Free Speech Week — this appearance was also protested, though not nearly as violently as Yiannopoulos’ first appearance. Yiannopoulos could not be reached for comment. 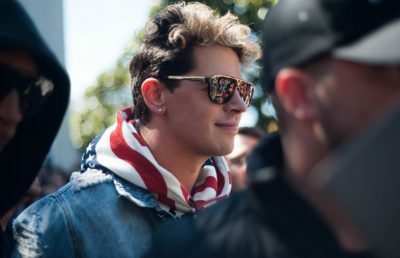 According to Ronnau, barriers to speech existed even before the orange ones assembled on Sproul Plaza — before Yiannopoulos’ visit, 12 campus professors sent a letter urging then-Chancellor Nicholas Dirks to prevent Yiannopoulos from speaking altogether. The campus has never and will never seek to interfere with anyone’s First Amendment rights, but it will contest views that stand in opposition to the campus’s values, according to campus spokesperson Dan Mogulof. “We will continue to seek every opportunity to host and/or facilitate events that bring together speakers with different perspectives who are interested in meaningful debate, dialogue and engagement,” Mogulof said in an email. According to UC Berkeley School of Law Dean Erwin Chemerinsky, while hate speech — including actions such as wearing an armband or burning a flag — is protected by the First Amendment, free speech is never truly free because it can be legally suppressed in certain cases. College students in particular are subject to tighter suppression than other citizens, Chemerinsky said in an email, because of universities’ rights to regulate campus speech. Conservative writer and potential Free Speech Week speaker Heather Mac Donald said she believes campus speech is further curtailed by political expediency. “The campus left labels an ever-widening circle of thinkers perpetrators of hate speech, simply because they make fact-based, rational arguments that do not conform to the left’s political orthodoxies,” Mac Donald said in an email. According to Ronnau, this means that when conservative speakers such as Yiannopoulos are invited to campus, the campus sends messages to the entire community that earmark the speakers’ beliefs as harmful to the community. 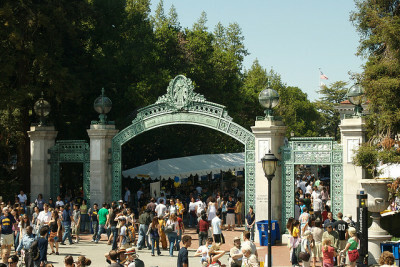 Former ASUC president and National Center for Free Speech and Civic Engagement fellow Will Morrow, however, resents that conservatives have cast campus protests against conservative speakers as suppression of conservative speech rather than an expression of the protesters’ own liberal speech — to do so, Morrow believes, is to distort the values of the Free Speech Movement. 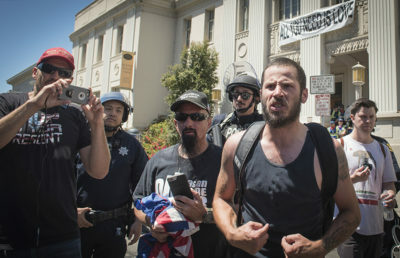 “These speakers want to come to Berkeley to provoke outrage and incite chaos under the guise of “defending free speech” by deliberately misrepresenting the legacy of Berkeley’s Free Speech Movement,” Morrow said in an email. The campus spent $4 million to fund security for free speech-related events in 2017, a price total that Morrow said has led people to believe the question lies not in whether the campus is suppressing speech, but the extent to which campus is obligated to exercise its commitment to free speech. The legacy of the Free Speech Movement, then, is not a sepia-toned Polaroid of a distant past, but a live video — future progress depends on the choices of campuses such as UC Berkeley, as Chemerinsky noted.